When you need a high quality plumbing service for your home or business, contact Hansen Plumbing Pro! 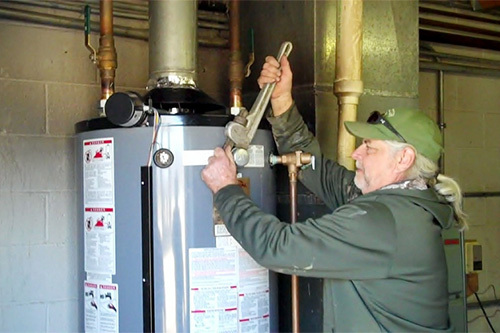 We have built a reputation for reliability and knowledge, and are capable of taking on a wide variety of plumbing jobs, including water heater repairs and replacements. Founded in 1989, Hansen Plumbing Pro is one of Arkansas’ premier plumbing services. We are pleased to provide the Fayetteville area with the highest quality plumbing service and maintenance available in the region. As a locally owned and operated company, we commit ourselves to seeking excellence in every single job we take on. This means providing services that are fast, reliable, experienced, honest and thorough. Fully licensed, bonded and insured, Hansen Plumbing Pro uses only the highest quality tools, equipment and plumbing fixtures when completing our work, as well as proven techniques that provide the results our customers seek. We work on all brands of plumbing equipment and fixtures. We have nearly 30 years of experience in the area in assisting customers with their plumbing needs. We are Master Plumbers who are fully licensed, bonded and insured. We are members of Angie’s List and Porch, which makes it easier for you to access reviews of our services. We are capable of taking on just about any type of plumbing job.